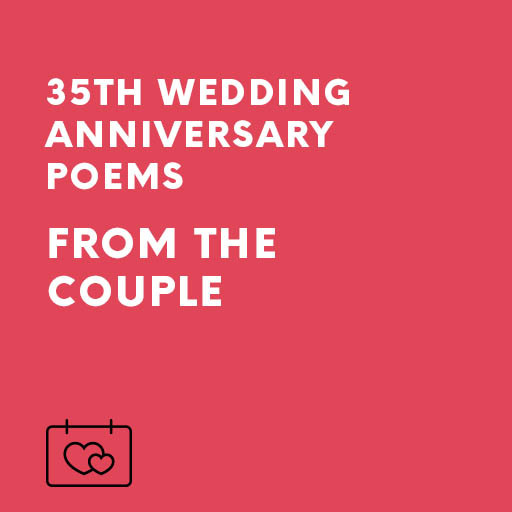 These poems express the feelings of the couple on their 35th (Coral) wedding anniversary. They thank the guests for what they mean in their lives and look forward to a happy future. They may be used on their own or as an unusual ending to the relevant speeches. Order our Ready-to-Go 35th (Coral) Wedding Anniversary poems – FROM the couple. These poems express the feelings of the couple on their 35th (Coral) wedding anniversary. They thank the guests for what they mean in their lives and look forward to a happy future. They may be used on their own or as an unusual ending to the relevant speeches.